There are books and other material on this dark subject ! In former times the nights in the capital were dark. In the darkness were dangers for the human life, robbers and demons and other things not well known, but to be feared. Welcome to the Dark Side of the Heian Period! (born 1951 in Odawara, Kanagawa) is a Japanese science fiction and adventure writer.
. Minamoto no Hiromasa 源博雅 (918 – 980) . (see Name below) is the oldest existing collection of Japanese poetry, compiled sometime after 759 AD during the Nara period. The anthology is one of the most revered of Japan's poetic compilations. The compiler, or the last in a series of compilers, is today widely believed to be Ōtomo no Yakamochi, although numerous other theories have been proposed. The collection contains poems ranging from AD 347 (poems #85–89) through 759 (#4516), the bulk of them representing the period after 600. The precise significance of the title is not known with certainty. The collection is divided into twenty parts or books; this number was followed in most later collections. The collection contains 265 chōka (long poems), 4,207 tanka (short poems), one tan-renga (short connecting poem), one bussokusekika (poems on the Buddha's footprints at Yakushi-ji in Nara), four kanshi (Chinese poems), and 22 Chinese prose passages. 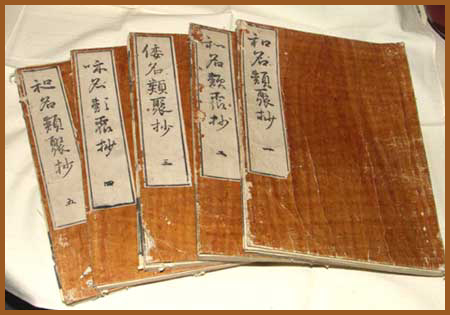 Unlike later collections, such as the Kokin Wakashū, there is no preface. 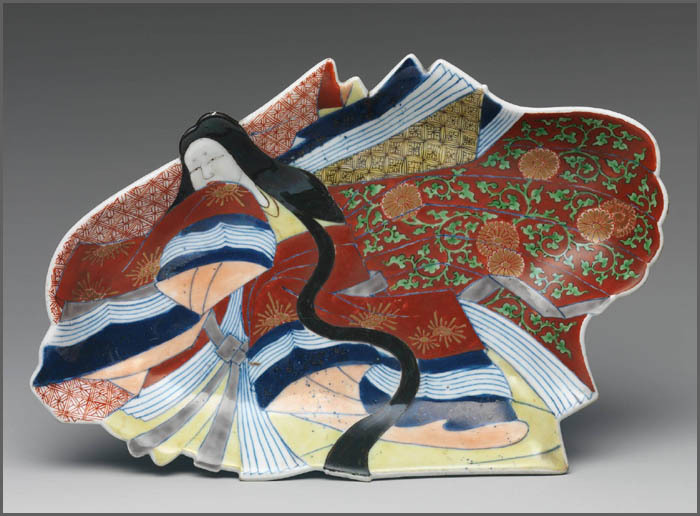 The Man'yōshū is widely regarded as being a particularly unique Japanese work. Although the name Man'yōshū literally means "Collection of Ten Thousand Leaves" or "Collection of Myriad Leaves", it has been interpreted variously by scholars. Sengaku, Kamo no Mabuchi and Kada no Azumamaro considered the character 葉 yō to represent koto no ha (words), and so give the meaning of the title as "collection of countless words". Keichū and Kamochi Masazumi (鹿持雅澄) took the middle character to refer to an "era", thus giving "a collection to last ten thousand ages". 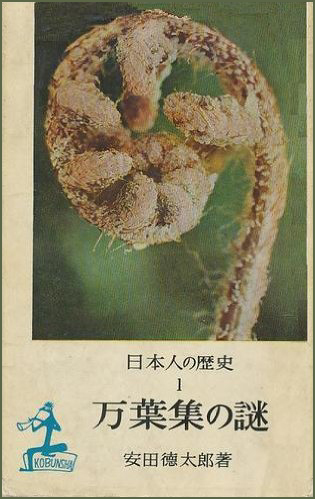 The kanbun scholar Okada Masayuki (岡田正之) considered 葉 yō to be a metaphor comparing the massive collection of poems to the leaves on a tree. Another theory is that the name refers to the large number of pages used in the collection. Of these, "collection to last ten thousand ages" is considered to be the interpretation with the most weight. I would ask you: Where is your home? Will you not tell me your name? It was morning in Japan. Night — if night is a fitting metaphor for Neolithic prehistory — had been long, tens of thousands of years long. China, Egypt and Mesopotamia had thousands of years of civilization behind them; classical Greece had come and gone; classical Rome, long past its prime, was dying. Still, Japan slept on. The pre-agricultural, preliterate, seemingly endless Jomon Period (circa 12,000 B.C. to circa 200 B.C.) evolved at last into the agricultural, still preliterate Yayoi Period (circa 200 B.C. to A.D. 250), without sparking a transformation dramatic enough to be called civilizing. Then, with startling abruptness, nudged by China via Korea, Japan awoke from its primeval slumbers. It is I who reign over all. Thus opens the glorious “Manyoshu,” Japan’s first, many say its best, poetry anthology. “Best” — meaning what? Beauty, shimmering beauty; and innocence, a rare innocence — rare because generally a culture that has risen to this level of linguistic mastery has already lost its innocence. Japan, having risen so very fast, hadn’t. “Manyoshu” (“Collection of Myriad Leaves”) consists of 4,000-odd poems composed over three centuries, Yuryaku’s being among the earliest, the latest dating to roughly 750, the height of Japan’s first great era, the brilliant Nara Period (710-794). Unlike later Japanese anthologies, the “Manyoshu” was not produced under imperial auspices. The editing process remains something of a mystery. Scholars speak of earlier poem collections that have not survived, so the “Manyoshu” may not have struck its contemporaries, as it does us, as genius bursting naked from a vacuum. Cold and bitter is the night! As for those poorer than myself . . .
how do you struggle through life? — people whom later ages would scorn and ignore. the birds beloved of my dear husband! Can it, alas, be she? I set out as defender of the isle . . .
Stroked me with it and caressed me . ..
A pity we have space only for snippets. Where to begin? O, Yasumiko I have won! they say, have sought in vain. hither and thither, my wife would cling to me . . .
where she was wont to go! was bent to mine like the bending seaweed! Grief makes happiness seem vain — or is it happiness that makes grief seem vain? to drink a cup of raw sake. That’s the spirit! It’s one of the famous “Twelve poems in praise of sake” by Otomo Tabito (665-731). Have we room for one more?
. Kakinomoto Hitomaro 柿本人麻呂 Hitomaru 人丸) . During the Heian period (794–1185), the sacred mountain Kinpusen, literally the “Peak of Gold,” came to cultural prominence as a pilgrimage destination for the most powerful men in Japan―the Fujiwara regents and the retired emperors. Real and Imagined depicts their one-hundred-kilometer trek from the capital to the rocky summit as well as the imaginative landscape they navigated. Kinpusen was believed to be a realm of immortals, the domain of an unconventional bodhisattva, and the home of an indigenous pantheon of kami. These nominally private journeys to Kinpusen had political implications for both the pilgrims and the mountain. While members of the aristocracy and royalty used pilgrimage to legitimate themselves and compete with one another, their patronage fed rivalry among religious institutions. Thus, after flourishing under the Fujiwara regents, Kinpusen’s cult and community were rent by violent altercations with the great Nara temple Kōfukuji. The resulting institutional reconfigurations laid the groundwork for Shugendō, a new movement focused on religious mountain practice that emerged around 1300. 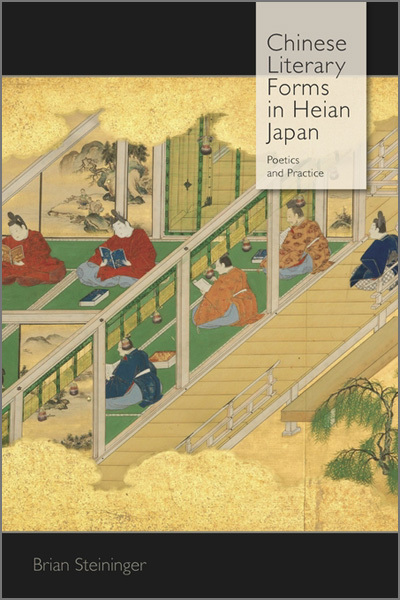 Using archival sources, archaeological materials, noblemen’s journals, sutras, official histories, and vernacular narratives, this original study sheds new light on Kinpusen, positioning it within the broader religious and political history of the Heian period. Heather Blair’s Real and Imagined—focusing on elite lay pilgrimage to Kinpusen during the Heian period—represents a superb contribution to the steadily growing body of English-language literature concerning Japanese mountain pilgrimage that has emerged over the last decade. 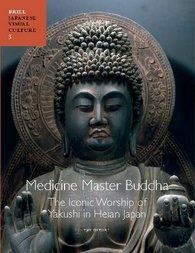 For the same reason that early modern mountain religious sects, such as Shugendō, were proscribed by the Meiji government—because of their inability to fit into a strict binary of either “Shinto” or “Buddhism”— the study of mountain religious activity until recently remained rather opaque, no doubt reflecting our own disciplinary boundaries. The emerging body of literature, however, demonstrates that mountain pilgrimage is if anything a privileged site from which to examine Japanese religion in all of its intersectional complexity. Whereas studies of a particular sect, founder, or doctrine may legitimately hew closely to that sect, founder, or doctrine, studies of mountain pilgrimage demand that a scholar attend to the complex web of religious interaction woven together at a particular site, resulting arguably in a much fuller historical picture of actual religious praxis. 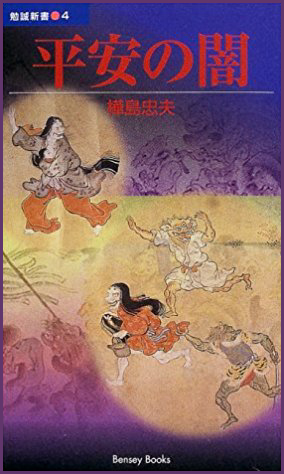 In sifting through strands of Daoist inflected longevity practice, Buddhist-inspired sutra copying, offering, and burial, and localized “traces” reflecting kami (indigenous deity) cult idioms, Blair’s study of elite mountain pilgrimage provides one of the finest archaeologies of Heian religious practice and thought in recent years. Further, in her rich analysis of the power-bloc relations that never lay far from the field of religious practice, Blair provides an exemplary model for the study of the religious sphere as inseparable from the overall production and circulation of power within society. 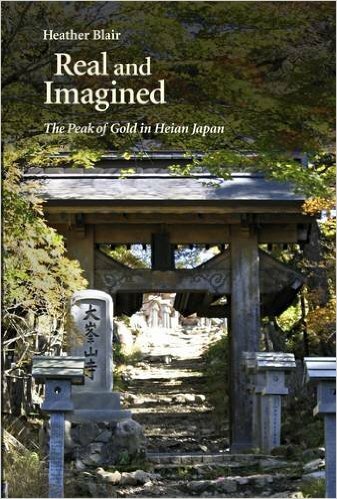 Real and Imagined’s nine chapters (including the epilogue) are further organized into three major parts: “The Mountain Imagined,” “The Real Peak,” and “Changing Landscapes.” In the first chapter, Blair traces the historical development of (Mount) Kinpusen as an important locus of religious activity up through the mid-Heian period. While as early as the seventh century the greater Yoshino area was being depicted as the realm of Daoist immortals, Blair notes that the very presence of religious specialists in the mountains conflicted with the desire of the ritsuryō (centralized bureaucratic) state to bring religious practice everywhere under its supervision. Only with the attenuation of such ritsuryō oppositions, Blair argues, was Kinpusen seen by the mid-Heian period no longer as a site of “illegal retreat” but rather as part of an “increasingly civilized mountainscape,” attractive even to elite members of the court aristocracy (pp. 28, 34). Such changes help to contextualize the actions of Fujiwara no Kaneie (of the Fujiwara regents’ patriline), who in 969 made the earliest lay pilgrimage to Kinpusen on record. Blair evokes the rich symbolic worlds pilgrims projected onto and encountered at Kinpusen in chapter 2, where she explores the pantheon of divinities associated with the mountain, most notably Zaō, described variously as a kami, a transformation body of Maitreya, a provisional manifestation of Shakyamuni, a divine treasury king, and/or a dragon. She notes that despite Zaō’s frequent depiction in the style of an esoteric Buddhist divinity, “nowhere in the canon of Buddhist scriptures, ritual manuals, or iconographies” does such a deity appear, and yet this “resolutely local, idiosyncratic cult” continuously attracted the attention of the central elite back in the capital (pp. 63, 61). Blair illuminates the Zaō cult with a lucid explanation of honji suijaku (fushion of buddhas and kami) doctrine, and in presenting her model of “narrative theology” (in the absence of theoretical treatises, the cumulative stories and revelations through which pilgrims disclosed their convictions), she argues persuasively that elite laypersons, as much if not more than ecclesiastical specialists, were at the vanguard of combinatory ideas and practices concerning buddhas and kami. With chapter 3, Blair shifts her discussion to the power-bloc relations that would prove so calamitous for Kinpusen in the years to come. Invoking Kuroda Toshio’s influential discussion of power blocs associated with the court, religious institutions, and warrior houses, Blair productively extends the discussion with her notion of “ritual regimes” that helped consolidate the power blocs presided over by the regents and retired emperors. Drawing on an attentive reading of courtiers’ diaries, Blair demonstrates that the ritual regimes of Fujiwara regents and retired emperors alike followed a consistent symbolic logic, combining “signature sites, rites, and texts” to link a sacred site in the capital with a related site on the periphery (p. 110). The ritual regime paradigm helpfully illuminates the lavish ritual system that consistently led Fujiwara regents to Kinpusen during the height of their power to mark the mountain as their own; it also helps contextualize retired emperor Shirakawa’s striking pilgrimage to Kinpusen in 1092 as a significant attempt to wrest Kinpusen as a sacred source of cultural capital from the regents. In part 2, “The Real Peak,” Blair pauses her historical chronology somewhat in order to zoom in on the actual symbolic practices undertaken by elites at Kinpusen, focusing on the routes taken (chapter 4), the ritual offerings conducted at the summit and interred therein (chapter 5), and the personnel (and resulting politics) involved (chapter 6). One highlight here is the fragment from Ōe no Masafusa’s diary that Blair herself unearthed from the archives of the Imperial Household Agency, recording conversations with Shirakawa during their pilgrimage to Kinpusen in 1092. Masafusa’s diary reveals that even in the midst of the rituals he was sponsoring at the peak, Shirakawa was considering how to overwrite the mountain as his own, discussing mid-ceremony his plans to promote priests from outside the Fujiwara client network, while expressing wariness about the strategic implications of such maneuvers. In retrospect, Shirakawa’s 1092 pilgrimage was both a kind of pinnacle of glory for Kinpusen and the beginning of an end: one year later the mountaintop hall to Zaō was burned to the ground by monks from Kōfukuji, a response in part to Shirakawa’s maneuvering. 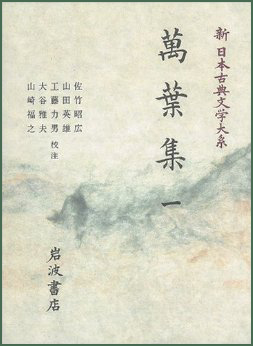 What follows in the final third of the book is a history of that fallout, detailing the rise of Kōfukuji as a power bloc capable of subsuming such temples as Kinpusen within its network, retired emperors’ migration to other mountain pilgrimage sites (for example, Kumano), and the appearance of new engi (origin narratives) legitimating new organizational affiliations for such sites as Kinpusen. With her epilogue, Blair takes aim at one final target: dismantling once and for all any notion that premodern religious sects such as Shugendō are simply the teleologically natural continuations of mountain-religious practices seen earlier in the Heian period. In place of such timeless narratives, Blair offers instead a historiography well attuned to rupture, upheaval, and violent conflict, as well as to accident, error, and faulty calculation. In reflecting critically on Real and Imagined, two considerations arise, neither of which significantly detract from the merit of the work as a whole. First, within the emerging literature on mountain pilgrimage, it seems to be normative for scholars to discuss mountains as both physical places and imaginary spaces, two categories that then interact in a kind of dialectical fashion. This is announced in the title of Blair’s book (Real and Imagined), reflected in its organization (“The Mountain Imagined” versus “The Real Peak”), and embedded throughout the narrative. Notwithstanding its prominence, I found this the least satisfying element of the book. In part, this is because I can think of no culturally important example that is not at once real and imagined; yet it would be cumbersome continually to refer to the “real and imagined emperor,” the “real and imagined Ise shrine,” or even the “real and imagined Kamo River.” It is also because almost as soon as these categories arise they tend to dissolve, as in the opening pages of the section titled “The Real Peak,” where we learn of the fascinating ways in which pilgrims envisioned their journey to “the real peak” as, actually, an ascent through the stages of the bodhisattva path. A second consideration relates to gender. Given that elite Heian pilgrimage to Kinpusen emerged alongside the introduction of prohibitions against women entering the peak (nyonin kekkai), and that Kinpusen remains the only sacred mountain in Japan today that excludes women year-round, a study such as this faces a choice: whether to take up the topic of gender exclusion head on or to stay closer to the historical record, mentioning the few examples of female presence as they arise. Blair’s analysis falls somewhere between the two. She carefully notes the few instances of female presence related to the mountain, including the female kami enshrined at the peak, one or two miko (female spirit mediums) linked to Kinpusen, and the example of a Heian noblewoman who sent prayer offerings with the wish “that I may become male” (p. 89). Analytically, Blair argues that “pilgrimage depended on conceptual binaries in order to retain its significance as a boundary-crossing exercise that yielded special powers,” and that with the lessening of ritsuryō oppositions to mountain religious activity, “the need to maintain Kinpusen as a symbolically other world became more pressing,” resulting in the prohibitions against women (pp. 48, 56, emphasis added). Here, I would simply wish to sharpen the language a bit: exclusion (for the benefit of some, at the expense of others) is of course never a need, though it may be a choice, a strategy, or a desire. All of which is simply to say that for those wishing an extended discussion of gender and mountain religion, Real and Imagined could usefully be paired with other work dealing with mountains in which there is a greater female presence: the final chapter of D. Max Moerman’s Localizing Paradise: Kumano Pilgrimage and the Religious Landscape of Premodern Japan (2005) comes to mind. Such minor hesitations do nothing to detract from the superb contribution Blair has made here. In giving us a micro-history of Heian religious practices at Kinpusen within a macro-history of early and medieval Japanese mountain religion, Blair has produced a magnificent work, one deserving a wide readership among those interested not only in mountain religion but more broadly in premodern Japanese religion, history, and politics as well. Major English-language studies since 2005 include D. Max Moerman, Localizing Paradise: Kumano Pilgrimage and the Religious Landscape of Premodern Japan (Cambridge, MA: Harvard University Asia Center, 2005); Sarah Thal, Rearranging the Landscape of the Gods: The Politics of a Pilgrimage Site in Japan, 1573-1912 (Chicago, IL: University of Chicago Press, 2005); and Barbara Ambros, Emplacing a Pilgrimage: The Ōyama Cult and Regional Religion in Early Modern Japan (Cambridge, MA: Harvard University Asia Center, 2008). On pilgrimage more generally, see Ian Reader, Making Pilgrimages: Meaning and Practice in Shikoku (Honolulu: University of Hawai’i Press, 2005). The Mandala of the Mountain: Shugendō and Folk Religion, ed. Gaynor Sekimori (Tokyo: Keiō University Press, 2005).
. Zaodoo　蔵王堂 Zaodo Hall for Zao Gongen . Zaō Gongen (also spelled Zao) is one of the most important mountain deities of Japan's syncretic Shugendō sects, a diverse tradition of mountain ascetic practices associated with Shintō beliefs, Taoism, magic, supernatural powers, and Esoteric (Tantric) Buddhism. After the arrival of Buddhism to Japan in the mid-6th century, the native Shintō kami (deities) were soon considered manifestations of the imported Buddhist divinities. Zao serves as the protector deity of sacred Mt. Kimpusen (Mt. Kinpu) 金峰山 in Japan's Nara prefecture and is considered the local Japanese Shintō manifestation (avatar = gongen 権現) of three Buddhist divinities -- the Historical Buddha, Kannon Bodhisattva, and Miroku Buddha, who serve respectively as the Buddhas of the Past, Present, and Future. This makes Zao perhaps the most powerful local divinity of religious mountain worship (Sangaku Shūkyō 山岳宗教) in Japan. Zao is widely venerated in the entire mountain range stretching from Yoshino to Kumano (the cradle of Shugendō practice), but also venerated at numerous remote mountain shrines and temples throughout the country. 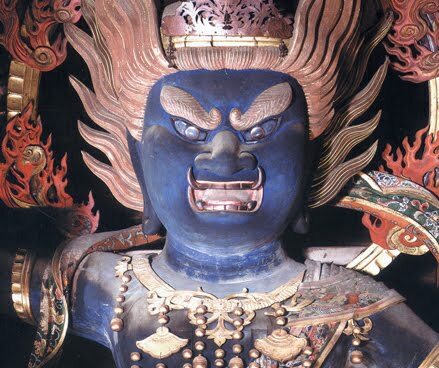 Despite Zao's Tantric appearance, the deity is generally thought to be of Japanese origin (see caveats below). Zao's cult spread throughout Japan from the 11th century onward. Japanese dictionary of Chinese characters. The Heian Period scholar Minamoto no Shitagō (源順, 911-983 CE) began compilation in 934, at the request of Emperor Daigo's daughter. This Wamyō ruijushō title is abbreviated as Wamyōshō, and has graphic variants of 和名類聚抄 with wa 和 "harmony; Japan" for wa 倭 "dwarf; Japan" and 倭名類聚鈔 with shō 鈔 "copy; summarize" for shō 抄 "copy; annotate". The Wamyō ruijushō is the oldest extant Japanese dictionary organized into semantic headings, analogous to a Western language thesaurus. This ancient lexicographical collation system was developed in Chinese dictionaries like the Erya, Xiao Erya, and Shiming. The Wamyōshō categorizes kanji vocabulary, primarily nouns, into main headings (bu 部) divided into subheadings (rui 類). For instance, the tenchi (天地 "heaven and earth") heading includes eight semantic divisions like seishuku (星宿 "stars and constellations"), un'u (雲雨 "clouds and rain"), and fūsetsu (風雪 "wind and snow"). Each dictionary entry gives the Chinese character, sources cited, Chinese pronunciations (with either a homonym or fanqie spelling), definitions, and corresponding Japanese readings (in the ancient Man'yōgana system using K5anji to represent Japanese pronunciation). 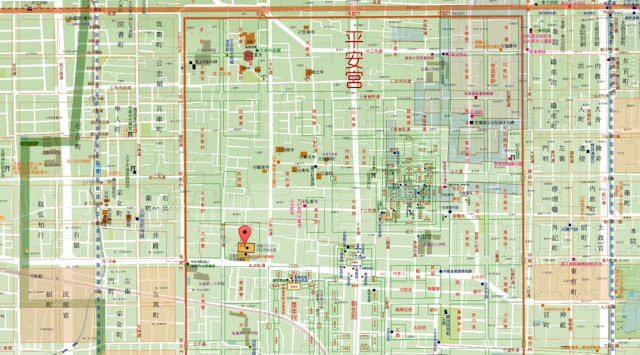 It cites over 290 sources, both Chinese (for example, the Shuowen Jiezi) and Japanese (the Man'yōshū). 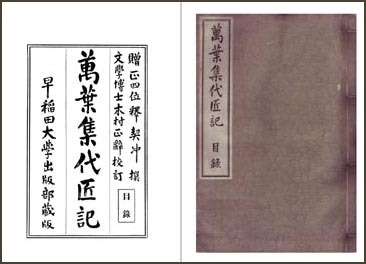 The Wamyō ruijushō, survives in both a 10-volume edition (十巻本) and a 20-volume edition (二十巻本). The larger one was published in 1617 with a commentary by Nawa Dōen (那波道円, 1595-1648) and was used in the Edo Period until the 1883 publication of the 10-volume edition annotated by Kariya Ekisai (狩谷棭齋, 1775-1835), also known as the Senchū Wamyō ruijushō (箋注倭名類聚抄 "Annotated commentary to the Wamyō ruijushō"). The 10-volume edition has 24 main headings divided into a total of 128 subheadings, while the 20-volume version has 32 and 249, respectively. The table below illustrates how words are semantically categorized in the 10-volume edition. 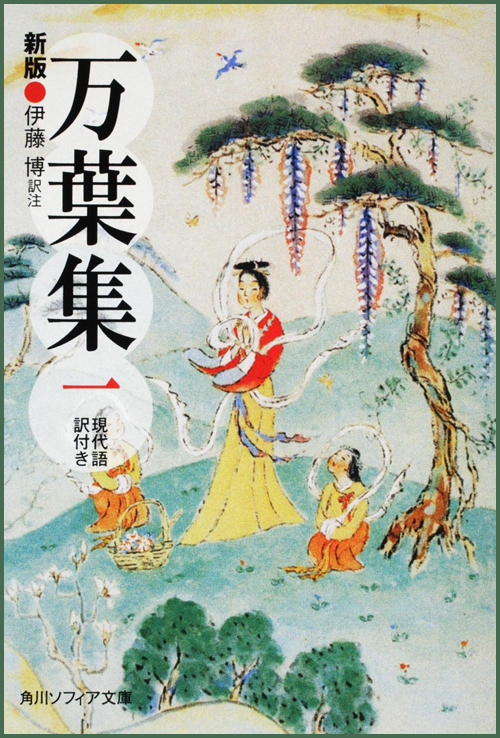 The broadly inclusive Wamyō ruijushō dictionary was an antecedent for Japanese encyclopedias. In the present day, it provides linguists and historians with an invaluable record of the Japanese language over 1000 years ago. 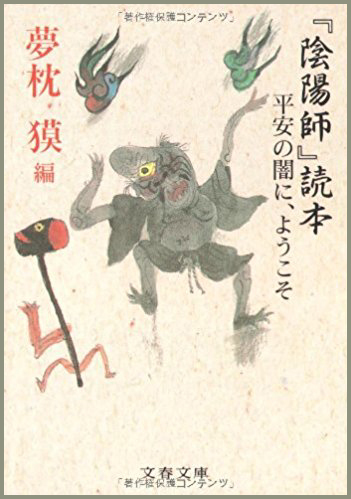 For more details, see Bailey (1960:4-6, 18-19) in English and Okimori (1996:287-288) in Japanese.
. Binbogami　貧乏神 - 窮鬼（きゅうき） Kyuki - Bimbogami, Deity of Poverty .
. Heian no Yami 平安の闇 The Dark Side of the Heian Period - books . The original Japanese word for “peeping tomism” is kaimami (“looking through a gap in the fence”). ABC Dictionary of Ancient Japanese Phonograms / dictionary of man'yogana.
. Real and Imagined: The Peak of Gold in Heian Japan .
. Wamyō Ruijushō 倭名類聚抄 Dictionary of Chinese Characters .